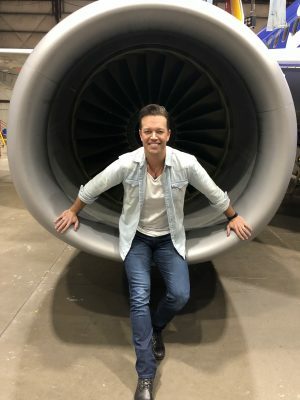 Hot country vocalist Lucas Hoge continues ascending into new territory as he joins Southwest Airlines’ Storyteller Brand Ambassador program. Over the next year, Lucas will be part of a curated group of 12 #SouthwestStorytellers who will promote the brand on their social channels. “We’re excited that Lucas is a part of our #SouthwestStorytellers Class of 2018. Over the years, Lucas has made Southwest his airline of choice as he has toured the country sharing his music with fans. We are excited to launch this partnership and are looking forward to what unfolds,” said Curtis Midkiff, Southwest Airlines Social Business Advisor. The Nebraska native is set to release the second single off his No. 1 album Dirty South to radio this March. Hoge had a career defining year in 2017, with his album ascending to the No. 1 spot on Billboard Country Album Sales Chart the week of release and making his Grand Ole Opry debut on the Ryman stage. Jan. 26 Stoney’s Rockin’ Country – Las Vegas, Nev.
Feb. 03 MGM Grand Hotel & Casino – Las Vegas, Nev.
Feb. 17 Nissan Stadium – Nashville, Tenn.
Feb. 23 Sandia Casino – Albuquerque, N.M.
March 24 Broadbent Arena, Kentucky State Fair & Expo Center – Louisville, Ky.
April 09 Whiskey Jam – Nashville, Tenn.
April 25 Ralston Arena – Ralston, Neb. April 27 Red Cloud Opera House – Red Cloud, Neb. April 28 Opera House – Minden, Neb. June 01 Nebraska Cattlemen’s Ball – Kearney, Neb. June 01 Nebraska Cattleman’s Ball – Kearney, Neb. Some people are just born communicators and Lucas Hoge has that gift. Fans know this because Hoge’s new album Dirty South ascended to the No. 1 spot on the Billboard Country Album Sales chart during its debut week. Whether he’s performing for troops overseas, sharing his love for the great outdoors with fellow sportsmen at a Cabela’s gathering or writing another song for a hit TV show, Hoge has that rare ability to find common ground with just about anyone and draw them into his world. A passionate supporter of the U.S. military, Hoge has traveled the globe extensively performing for the troops visited numerous countries throughout the Middle East and beyond for the past nine years as part of the Wrangler National Patriot Tour. Hoge is also the celebrity spokesperson for Guardian Angels For Soldier’s Pet. Combine all of that with his Midwestern charm and a work ethic that won’t slow him down, it looks like the best is yet to come. Country Music News Blog participates in advertising programs that help fund the operation of this site. For more information please visit our privacy statement. This entry was posted in New Music, Press Releases by Shauna "WhiskeyChick" Castorena. Bookmark the permalink.